Have you started making a Christmas list yet? My mom started asking for gift ideas a month ago. My hubby asked me yesterday what I wanted! My husband...a month and a half early! Thankfully, because of usfamilyguide.com I'll have the opportunity to review one of these in the next couple of weeks! I'll let you know what I think about it after I receive mine! 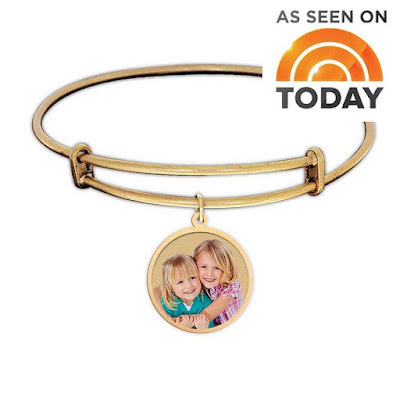 Pictures On Gold's expandable Photo Bracelet makes the perfect gift! What lady in your life would this be perfect for? Do you have a grandma, aunt, sister, or a new mom who would love this as a Christmas gift? These bracelets are available in copper or silver tone, and one size fits all. They're expandable so everyone can wear one. The bonus is these bracelets are they're made using recycled & biodegradable material, a portion of the proceeds are donated to children's charities, and they're made within the USA - Support Your Neighbors! I'm happy to announce my readers get to save on customized jewelry from Pictures On Gold! Just in time for the Holidays, use code famguide10 to save 10% off your order! Which bracelet would you get or give as a gift? Very pretty bracelet! A couple years ago I got a locket from PicturesOnGold and had a photo of my daughter and I put in it. She still wears the necklace. This is a keepsake type Christmas gift, and I want it. How adorable this is and beautiful! I love that they are made using recycled material. I like the silver one. I like the silver one best, this would be a great gift to give to my mom! That is a beautiful bracelet! I love that you can put in a personalized photo like this! I like the silver one. Those are very beautiful. I have always liked silver, so that's the one I'd love to get. I would love to put a photo of my daughters on it. Gorgeous bracelets and I would love to get one for Christmas. I normally start my shopping in the middle of December lol. That is so beautiful. It's like a modern day locket. I totally want one of these myself. I wear a lot of bangles so this would match my style. 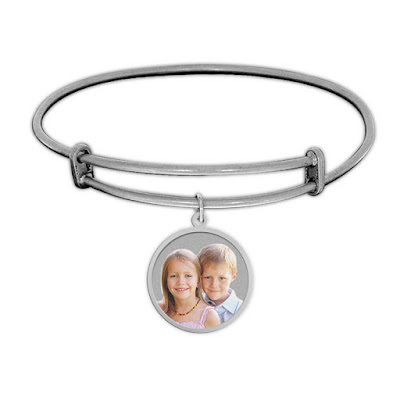 That is such a pretty charm bracelet that can be personalized with your children's photo(s). Not only do I think mom would like it as a gift this holiday, it would make an equally wonderful present for a doting aunt or grandmother. I enjoy sentimental gifts like this as well! I know quite a few people who would enjoy this gift!